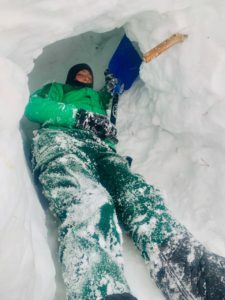 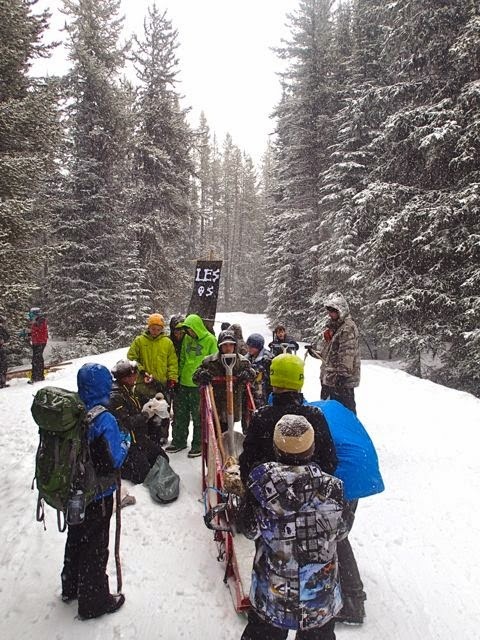 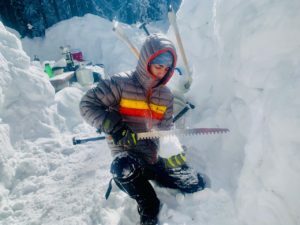 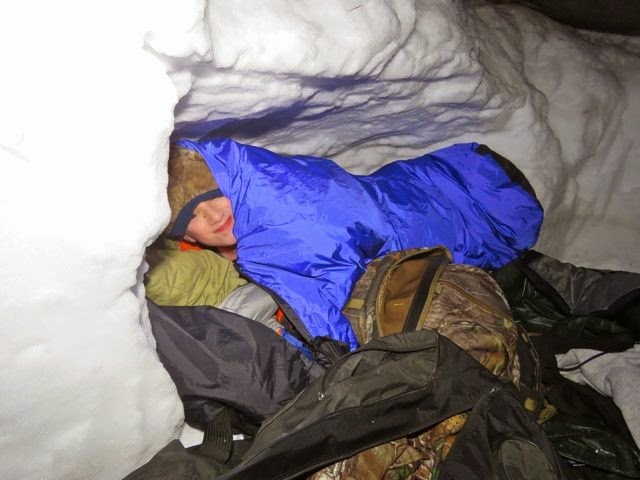 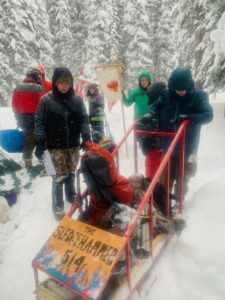 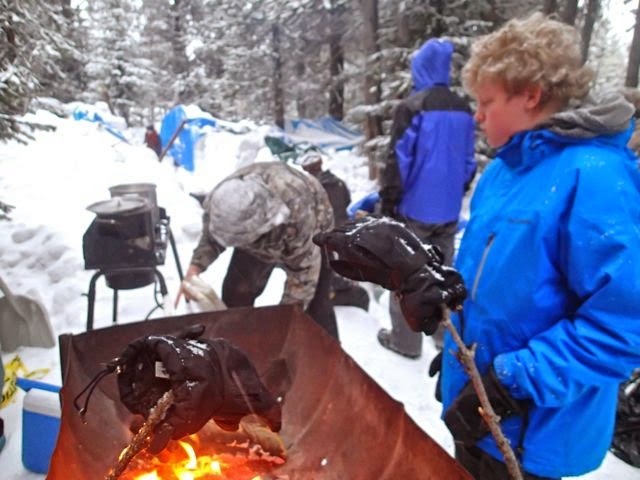 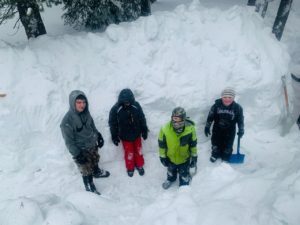 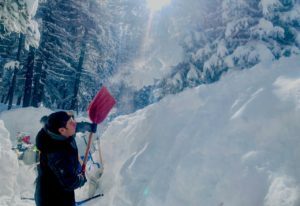 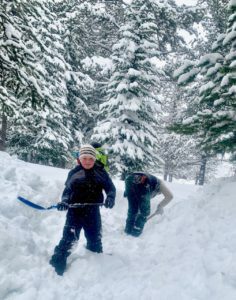 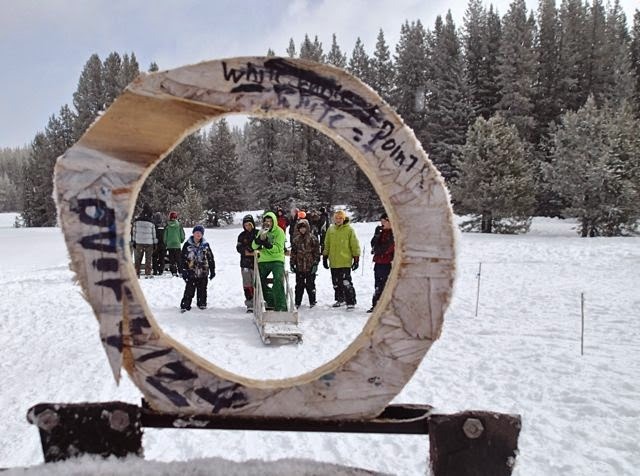 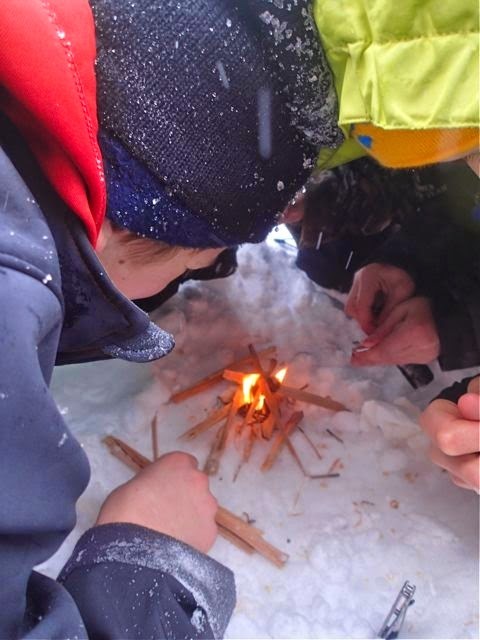 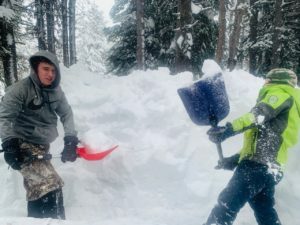 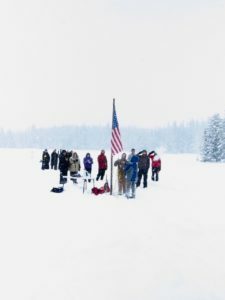 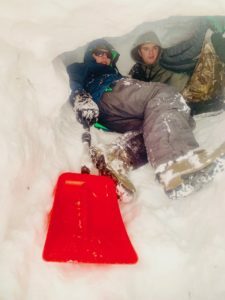 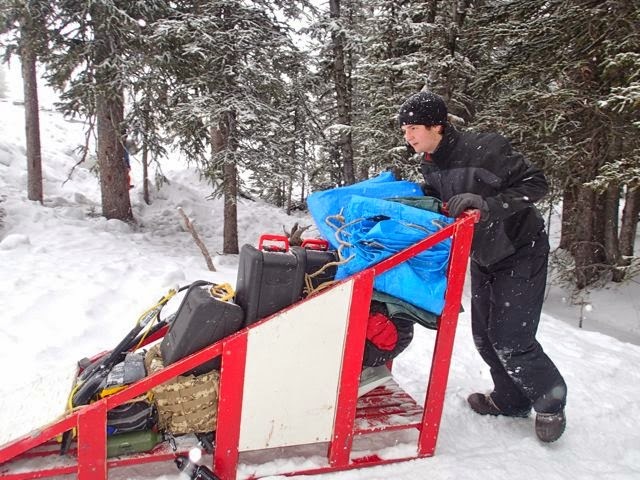 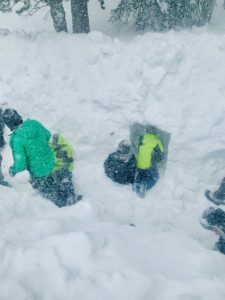 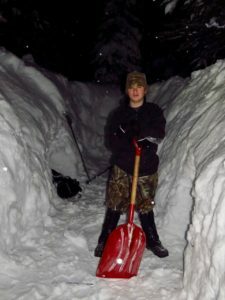 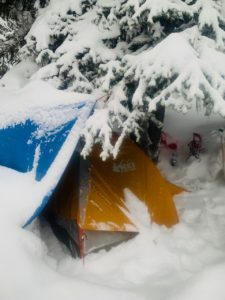 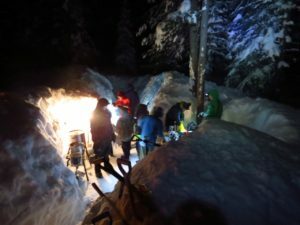 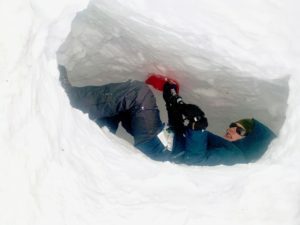 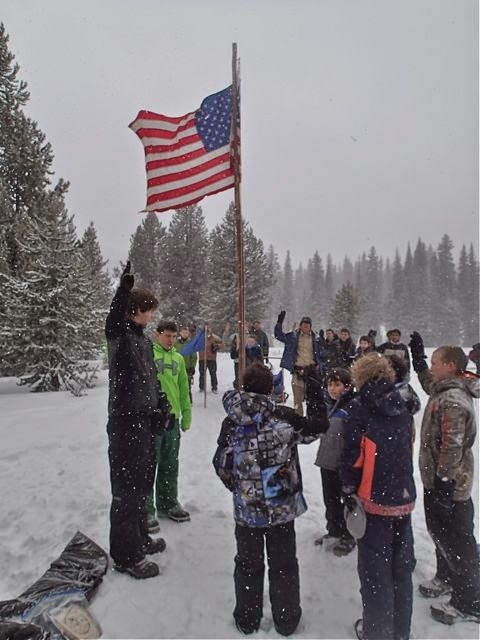 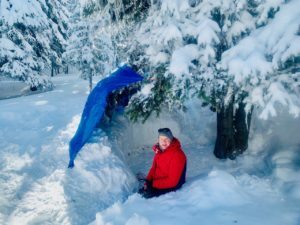 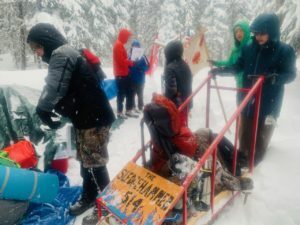 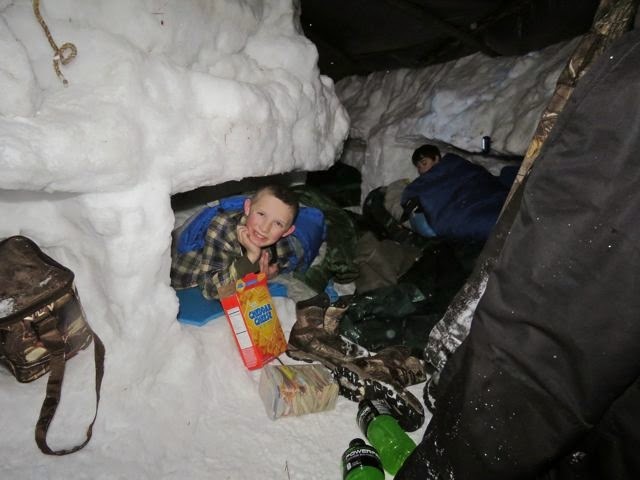 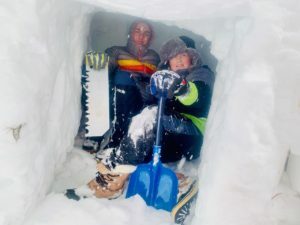 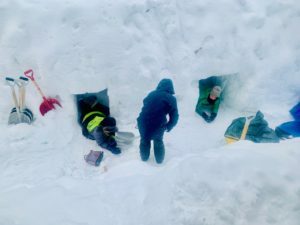 Eighteen Scouts slept in their snow shelters last Friday night up at the Anthony Lakes area of NE Oregon. 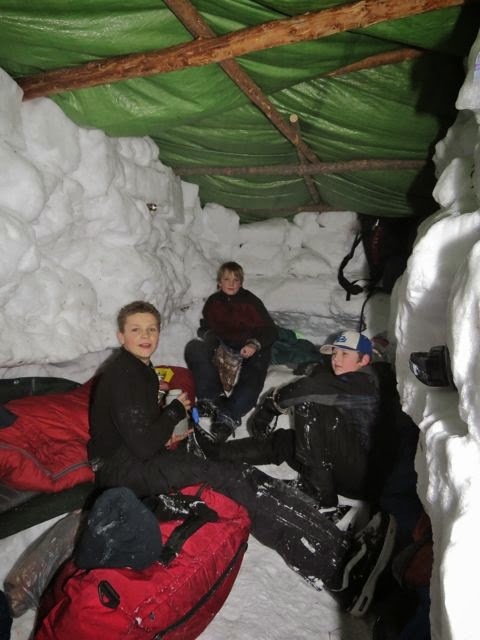 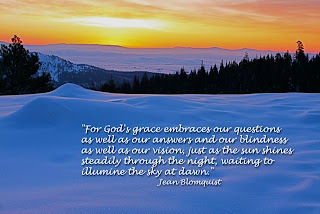 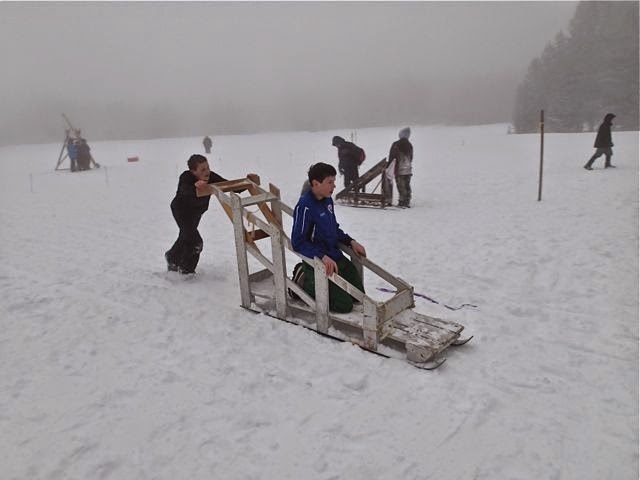 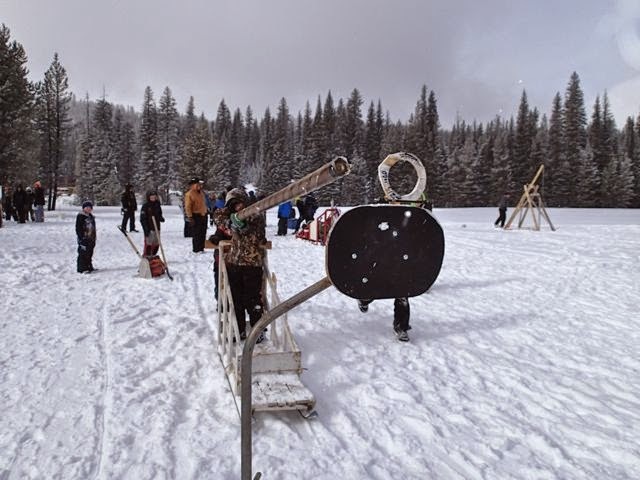 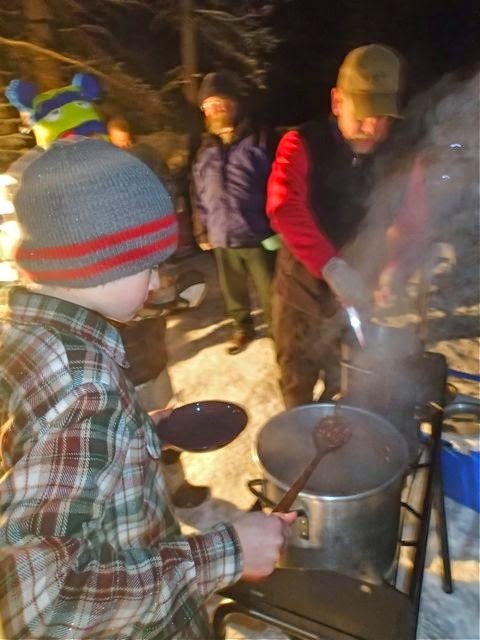 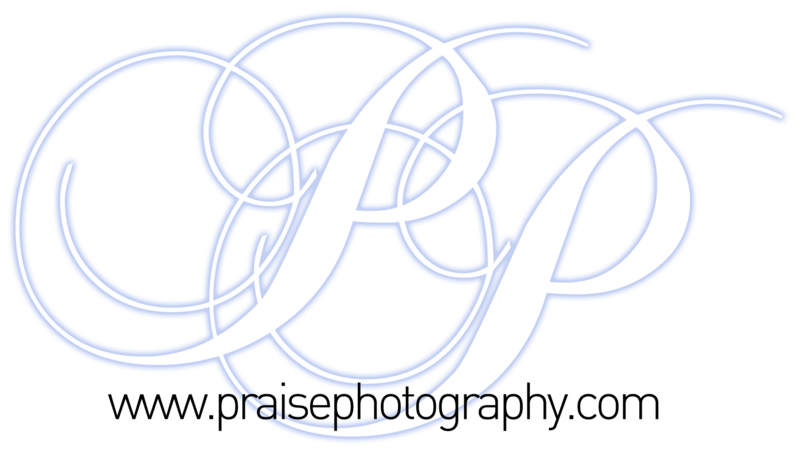 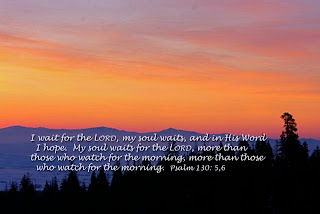 Their gear was appropriate to the weather conditions–18 degrees and light snow–so they enjoyed a comfortable night. 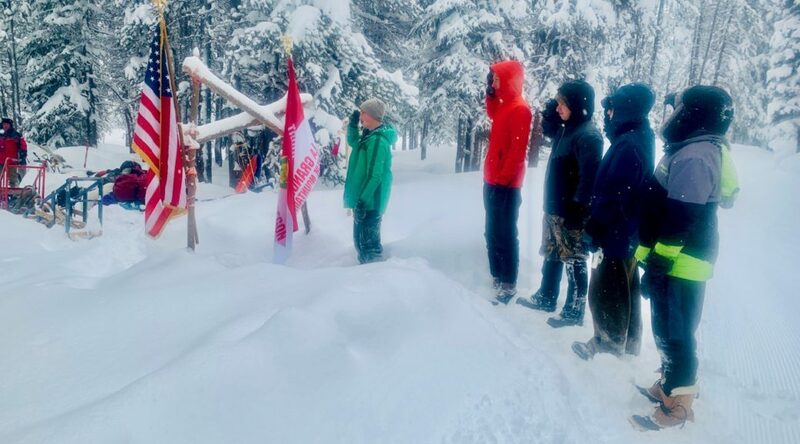 Many of these boys were barely eleven years old, yet their enthusiasm lasted the entire time, and they were most proud of their accomplishment. 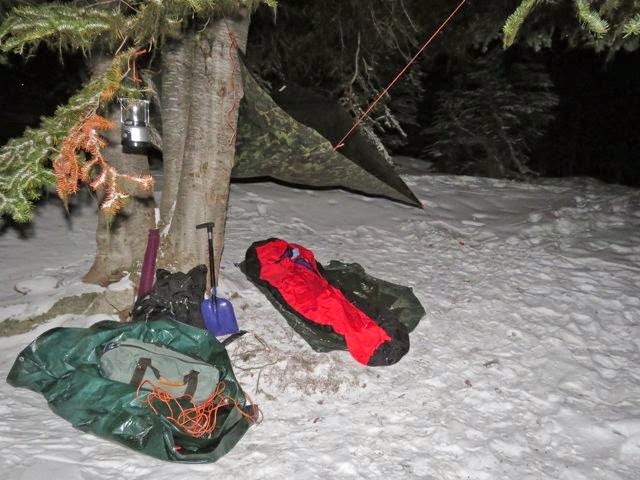 And I, at the other end of the age spectrum, enjoyed sleeping out in a tree well inside a bivy sack, underneath the tree boughs. 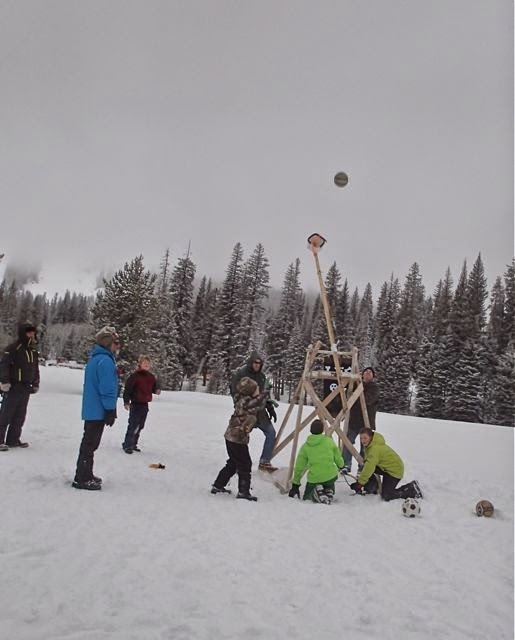 Saturday morning they competed in Scout skill events, as well as fun challenges based on a medieval knight theme–a catapult to knock over buckets, a jousting where they held a long light pole to thrust through a small hole as they were being pushed on a sledge, a bridge to knock their opponent off of. 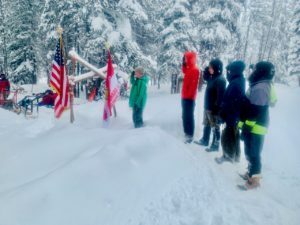 We had enough scouts for three patrols. 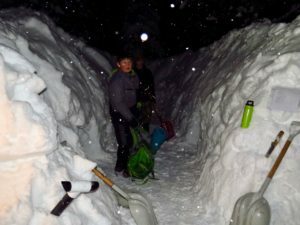 One patrol finished first, so naturally there was extra excitement. 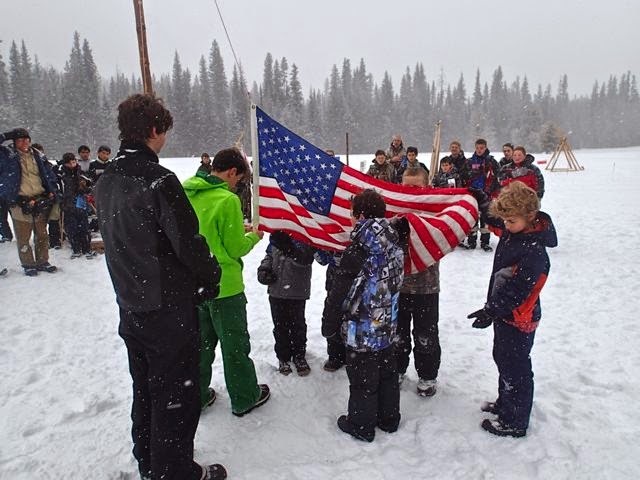 These opportunities are unique skill and confidence builders–lessons and memories to last a lifetime.